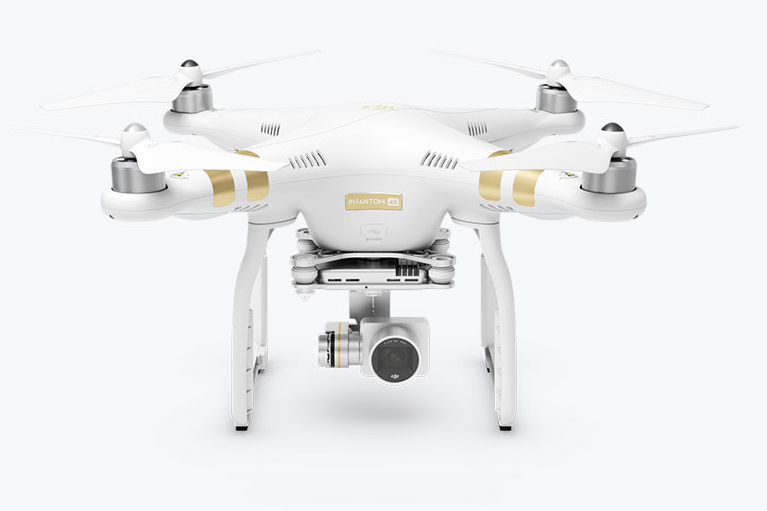 Ahead of 2016’s Consumer Electronics Show in Las Vegas this week, drone manufacturer DJI slyly introduced upgrades to its two flagship quadcopters, the Phantom 3 and Inspire 1. Understanding the growing desire to use drones in filming and photography, DJI geared each upgraded release specifically towards capturing stunning aerial photography. Not that it needed more of a boost to its already impressive profile, but the improved models arguably put DJI squarely at the top of the quadcopter class. Adding to its already impressive stable of Phantom 3 drones, DJI decided to take the class a step further, unveiling a Phantom 3 outfit with the same 4K camera previously seen on its Phantom 3 Professional. Now, for just $999, aspiring filmmakers have the ability to cop a 4K-capable drone that can take gorgeous video and snap striking photos. Considering many deem the DJI’s Phantom 3 as one of the absolute best in the industry, the welcome addition of a 4K camera should make this one of the hottest commodities among quadcopter enthusiasts. Under the hood, the Phantom 3 4K captures film in official DCI 4K formats while allowing pilots to control the drone from up to three-quarters of a mile away. Utilizing its on-board WiFi connectivity, users have the ability to see what the drone’s camera sees, no matter how far away it is. Though the Professional includes a longer range with its 4K camera, the difference in price (roughly $250) makes the Phantom 3 4K incredibly attractive. DJI’s uber-exclusive (and uber-expensive) Inspire line of drones also received a healthy upgrade, with the company now including the world’s smallest Micro 4/3 camera ever made, the Zenmuse X5 and X5R. With its included Zenmuse X5 capable of recording 4K video and snapping photos at 16 megapixels, the Inspire 1 Pro is an absolute boon for aspiring filmmakers. Moreover, the built-in Zenmuse X5R on the Inspire 1 RAW ups the filmmaking ante even more by giving users the option of filming 4K raw video — a first in the drone industry. The Inspire 1 Pro/RAW does cost the definition of a pretty penny ($4,500). However, with an upgrade to its flight performance, a high-quality camera capable of putting some movie productions to shame, and an easy-to-use remote, the Inspire 1 Pro/RAW is worth the price, and is a worthy supplement to DJI’s already impressive stable of drones. DJI once again showed why it deserves its expansive praise with the release of the Phantom 3 4K and Inspire 1 Pro/RAW. Both drones are currently available through DJI’s online store, as are the other members of the firm’s extensive, and widely impressive, product range.